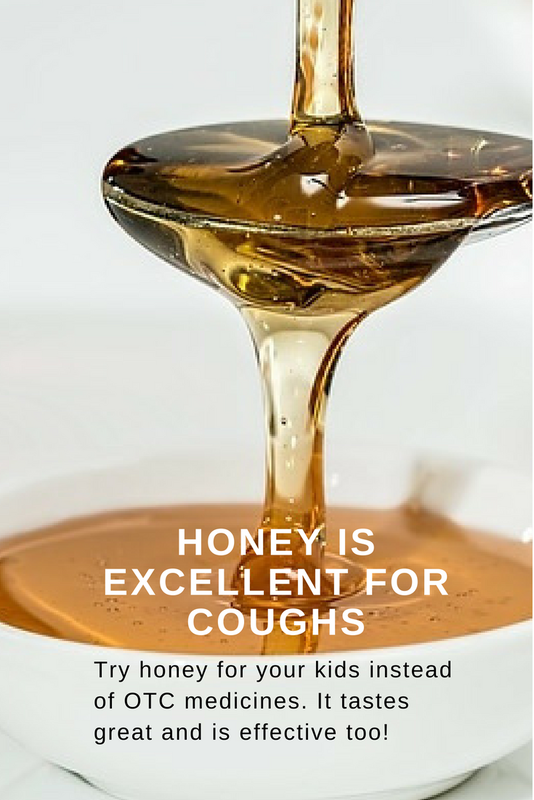 Instead of reaching out for that cough syrup when your child is suffering from an incessant, nagging cough that worsens at night, you might try good old honey as a home-remedy. New research has confirmed the efficacy of honey in treating coughs; in fact it is better than any over-the-counter cough medicine. In a study, a dose before bedtime easily outperformed a cough suppressant widely used in commercial treatments. Honey was better at cutting the severity, frequency and disturbance from night-time coughs of those suffering upper respiratory infection. It also helped their sleep, suggesting that parents may be wasting their money on expensive alternatives sold in chemists and supermarkets. The study compared honey to dextromethorphan (DM), the active ingredient in many cough mixtures. The researchers said that honey offered a "safe and legitimate alternative" to DM, which can occasionally cause severe side-effects in children, including muscle contractions and spasms. Dr. Ian Paul, a researcher at Penn State College of Medicine, says that advantage of using honey is that it is generally less expensive than OTC medications and brings none of the side effects like dizziness or sleepiness which are caused by cough syrups. Dr. Paul further adds that the type of honey plays a role in the treatment. "Darker honeys have more antioxidants than lighter honeys but lighter honeys would probably also benefit kids". However there is a minimum age to have honey whether to eat or to relieve cough. You should not give honey to children younger than 1 because of the risk of botulism. Since it's not a good idea to give cough syrups and other OTC medications to kids below the age of 6, honey as a cough syrup is a godsend. It's natural, safe and highly effective. Just 2 teaspoons of honey before bedtime can relieve your child's coughing and give him /her a restful sleep at night. So what do you do when your kids suffer from a hacking cough? Do you prefer OTC medicines or home-remedies? Did you ever try honey for coughs and noticed a difference? Do share in your comments. Also read: Dry cough? Try these effective home-remedies. Very informative post, thank you !